A Little Bit etc. 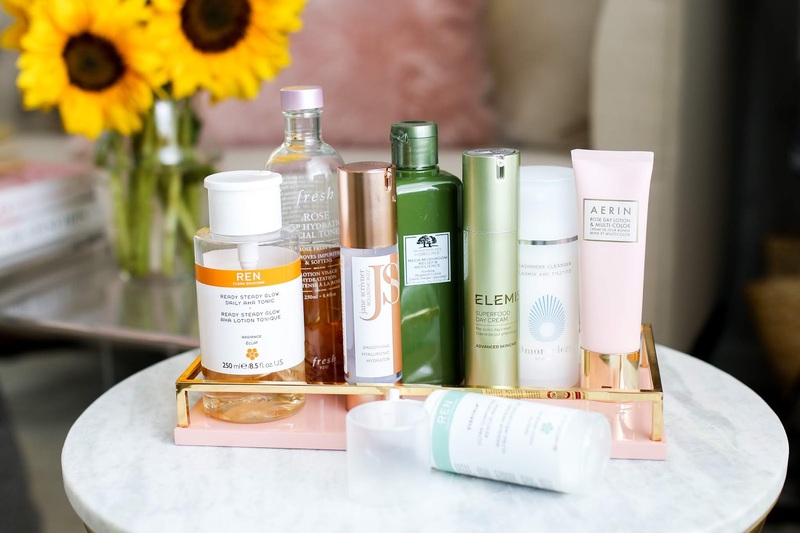 : New Skincare Discoveries I'm Loving + REN Skincare Giveaway! New Skincare Discoveries I'm Loving + REN Skincare Giveaway! So many new skincare discoveries in today's video along with a REN skincare giveaway!! Click here to watch the video and enter the giveaway. Enjoy and don't forget to subscribe! This is my favorite facial cotton to use with it! Hi! I can’t fathom how many questions you get each day, but I could use your help. I’m trying new skin care but how do i know which product is working unless I only switch 1 thing at a time. But that’ll take years to try 1 new thing for weeks & then switch. What’s the best approach? Cleansers, toners and masks are pretty easy to see if they are working rather quickly. I can see a difference in the first few uses. Serums and moisturizers may take longer but that also depends on what it targets. A product that targets hydration - I can see results rather quickly in a week or two. Something that targets fine lines, hyperpigmentation, etc will take longer.